This article is a companion piece to the Gamification and Law series. It’s meant to give a very specific example of one way a video game can communicate the idea of system to a person. 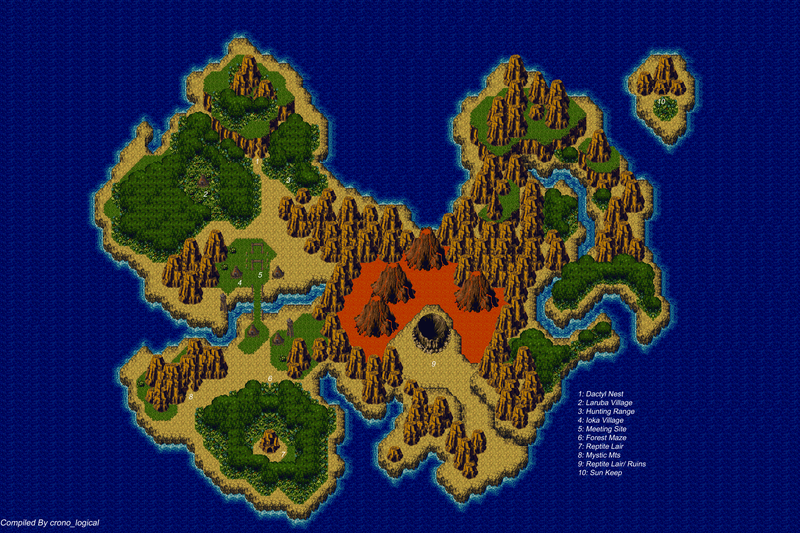 Chrono Trigger is unique among JRPGs because of its focus on place instead of story. Incorporating time travel into the game puts certain limitations on the narrative while also opening up unique storytelling opportunities. What makes the game so special is that when you start focusing on place instead of linear narrative in a game you begin to talk about the interconnected relationship between things. The why and how of events in the game is the central focus of the story, which are the very questions that drive our own relationship with systems. Chrono Trigger’s cast, while charming in a Dragonball Z sort of way, are static with the exception of Magus. Chrono is your basic silent protagonist while Marle stays in love with him and generally happy throughout. Frog is always the dutiful soldier, Lucca loves science, Ayla talks like Yoda, etc. This is not to say the characters do not have backstories or that they are bad characters, but compared to FF3 there is a notable lack of change in their dispositions. They overcome obstacles, usually in their past, but it does not change their outlook on the future. The reason for this is because if your game is about time travel and you allow people to muddle in the past then you have to figure out a way to keep characters consistent. You can write tons of dialog to cover all the different scenarios. Or, more realistically, you can just keep everyone as one-note as possible. Lucca can go back in time and save her mother from the accident, but either way she resolves to dedicate her life to science. Frog can put Cyrus’s spirit to rest but it only increases his resolve, it does not particularly change him personally. This is important to note because it demonstrates that the characters are not affected by the world around them. They are beyond it. This complex relationship between actions, consequences and trying to control them is depicted throughout the game. The trial sequence involves several possible acts the player can take and their interpretation as to Chrono’s guilt, no matter what the player intended. Even if you play through the sequence perfectly Chrono still goes to jail because of the Chancellor’s corruption. The newgame plus option is all about encouraging the player to explore and see what happens when you do things differently. Narratively the game involves one of the inherent flaws that systems thinking notes about understanding the system: you can never fully control a system because it becomes static when you do. Lavos is a being that tried to be in total control of the world, its reach going so far as to even predict and attempt to counter the heroes seeking to destroy it. Yet once that happens the static nature allows a person to step outside of the system and change it. Or put another way despite how much Lavos was overwhelmingly in control of the timeline in the game, it still didn’t have the power to stop its own death. 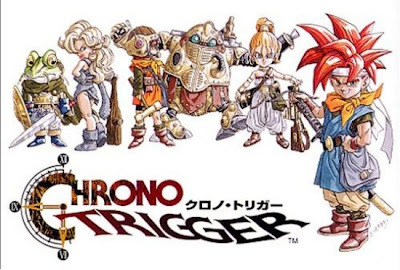 It’s not my goal to claim the creators of the game were thinking about systems theory when they made Chrono Trigger, rather to point out that time travel games are invariably about systems. You could cite Majora’s Mask or Day of the Tentacle and build a similar argument easily. It’s another example of the point I made in the Gamification and Law series about how games are uniquely suited for communicating the concept of systems and form to people. Since you can’t really start by trying to communicate something concrete to the person, games are handy because you can get them to picture how a series of relationships can be used to craft anything, be it a JRPG or a dynamic legal system. Like the desert puzzle in the game, I’m not really talking about the desert but rather a series of relationships that culminated in the desert. "Compare that to your original perspective of the desert when you walk through it in the year 1000. It’s just there." It's interesting that The Black Omen demonstrates the reverse of the Fiona's forest situation. The player witnesses the underlying cause and thus understands why it's an urgent problem. To the people of the year 1000, however, it's just a sky feature that has always been there. They comment nonchalantly about how "The Black Omen sparkles in the sun" without questioning why it would be floating there in the first place. Ah good catch, that's definitely a good contrast of the perspectives due to their outsider status. That old guy who thinks of it as a good thing is so spooky in 1000. Your blog has been recommended to me by more than one source and now I understand why. Splendid! 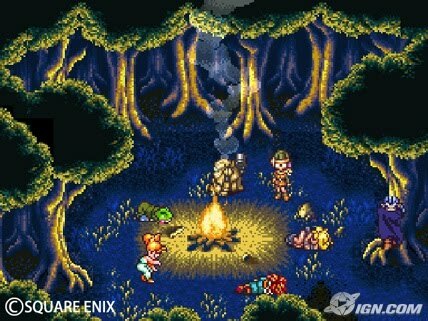 I continue to be amazed by how much analysis Chrono Trigger meaningfully endures. Perhaps because it was a veritable JRPG all-start team that made it? I come back to the game every year. Here's a post I did where I talked about the plot-as-level design. Considering your analytical interest, it might tickle your fancy. There's a graph at about the middle that weighs the available "plot" (number of conversations & NPCs) at any given point against the number of monsters and bosses at that same point in the plot. Damn thing took me like 5 hours to count up the data. The point is, the results are kind of uncanny, and you might appreciate them. This game is brilliant in quite a few ways. All STAR, not start. Curse my tired eyes. Don't sweat it man, sorry I haven't replied yet. I'm killed for time thee days. I looked your closer look at the flow of the game and how it mirrors out nicely with the story. The disorientation of the goals in the Ice Age world is still one of the most striking things. The map world itself was disorienting, like it took me a minute to figure out where to go even when replaying. I'll take a closer look at that graph I've got a free minute. This is beautiful. I'm so glad to see you posting again. We need more people examining games within a system theory context, particularly people who are capable of doing so as eloquently as you have here. I found it interesting that you brought up the work of Donella Meadows, as her explanation of leverage points is something that always struck me as being highly applicable to game design (and many other disciplines). I never thought of Chrono Trigger specifically in that context, but the example of Fiona's Forest is a great one. It's astounding to realize how much of the pleasure of play derives from the act of discerning these leverage points, and how much our notion of what constitutes good game design is coupled with a creator's ability to provide such affordances and communicate their intricacies to us. I think this inherent focus on systems that games naturally incline toward contributes to the idea that games are somehow detached, that they are inherently about "things, not people" as some have claimed. But I don't believe that's really the case. Static or not, Chrono Trigger's characters are vividly realized and memorable. Outside the realm of games, something like The Wire, which I would also classify as a "systems narrative" (and David Simon has essentially said the same, stating that the show was intentionally a Greek tragedy at its core), manages to retain a human focus even as it repeatedly depicts its characters as being trapped within a system they can't ever truly transcend. For me, what's most interesting right now are designers who are taking the concept of "expressive systems" and turning it toward more abstract or metaphorical constructs. The concept of "system" is tremendously elastic, but in games you often get the same literal examinations of temporal/spatial relationships, because that's the most easy and obvious route to take. But a system could just as easily be an emotional system, or a social system, and providing a context for players to explore the leverage points into those types of systems is crucial to the continued evolution of games. Anyway, that's a whole lot of fancy talk, but I mainly just wanted to say thanks for this post. Oh wow, I missed this comment somehow. Sorry Jamey, I don't check over this thing like I probably should. Thank you for the compliment and I agree, systems can be used for a wide range of things. As people loosen up on genre formulas I think they'll find there's a lot of room for exploration in game design. As much as I like your systems analysis, I think you shouldn't ignore the linear progress itself. It's precisely because CT runs its narrative in a logical, evidence-expounding way that it's so much better to study than the standard macguffin-collection quests of the genre. You state that it's not interested in discussing consequences, but I disagree: I think it not only explores, but also subverts them. The player is often aware of their future movements, not only because they may recognize standard gaming tropes ("heroes defeat villains") but because someone specifically mentions the events in the future. For example, in 1000 AD at the Millennial Fair, a few people mention the defeat of Magus in the middle ages. After the party returns from the future, it becomes increasingly clear that Magus is somehow intertwined with Lavos, and eventually that they themselves will defeat him. But then, when they finally confront him at his keep, he manages to escape through the giant time gate -- a complete subversion of the player's expectation. They were led to believe that they were pulling a lever, but really, the lever was pulling them. Like I said, I dig your stuff; I just think it's important to maintain the connection from the underlying complexities back to the surface. After all, that's what drew us to it in the first place, right? I'm a lawyer from South Carolina with the Battle Law Firm.